Having a website is no longer enough to cut the mustard. Dave Nicol explains why practices must develop a structured digital strategy to turn those clicks into clients. Technology in all its forms has already proved to be a huge disruptor for veterinary practices across the UK. Staying up to date with the latest developments can be a challenge, but upsides exist for those willing to embrace these advances. We asked our panel to share their vision of this brave new world. Do you know a ‘hashtag’ from a ‘like’? Have you the confidence to post content on your practice social media? Elanco’s Linn Adams offers hints and tips on what social media platforms to use and content that will appeal to clients. You may think your practice management system is already running to its full potential. But, as Nick Lloyd explains, when it comes to administration, data transfer and disease control, you ain’t seen nothing yet. 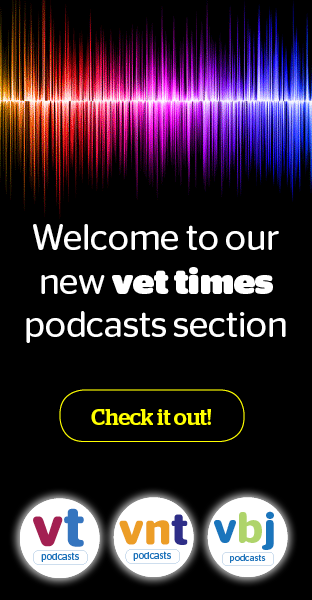 Digital media has revolutionised the way many vets and VNs fulfil their CPD obligations. Accessing learning online is often cheaper, faster and more convenient than traditional modalities. So, is there still a case to be made for event-based learning? James Westgate reports. Dr Ernie Ward explains what modern veterinary practices can do to promote active advocacy, create value and boost credibility in the new trust economy. Find out why more and more veterinary practices are using Manx Telecom’s Chameleon Direct SIMs to get the best mobile phone coverage when out on call. When it comes to promoting your practice online, Google’s artificial intelligence algorithm RankBrain could be a game changer, according to Bash Halow. A survey conducted by Dimensional Research and published by Marketing Land showed 90% of customers reported their purchasing choices are influenced by online reviews. Here, Casandra Pearson explains how to manage these reviews to protect the online reputation of your practice. Developments in the world of imaging technology have brought big benefits to practice – both clinically and commercially. Here, Jon Mills makes the case for portable and CR X-ray.